Join The Asheville Sound Collective this Saturday 4/27 for a special Concert/Sound Healing event at the UR Light Center on Rte 9 in Black Mountain 7:00 to 9:00 pm. The Light Center is 8.2 miles south on Rte. 9, coming from exit 64 on I-40. I'll be playing their magnificent 9 foot concert grand piano in the geodesic dome of the prayer room! Here's track 1 of our new CD, Bliss of Being, one of the most beautiful recordings I've ever done! 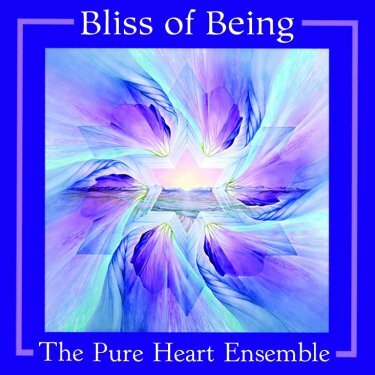 Bliss of Being is an album of deeply relaxing and expansive music to dive into and return rested and in tune with your natural inner alignment. Wednesday, April 24th, 7:00 pm - Integrating Atlantean & Lemurian Energies for a Pyramids of Light Activation within,with Trans Medium Brenda Lee and Intuitive Composer Richard Shulman Crystal Visions : 5426 Asheville Hwy (Naples NC). Crystal Visions lies between Asheville and Hendersonville, just south of Fletcher, at 5426 Asheville Highway (Naples NC), aka US 25 — 1/2 mile South of exit 44 (old exit 13) off Highway I-26; just 4 miles from the Asheville/ Hendersonville airport at I-26. $25 admission. For info and reservations call (828) 687-1193. 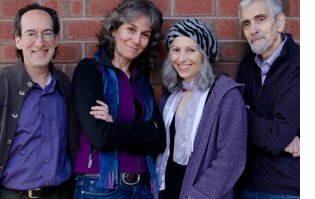 Fri. May 17, 7:30 pm Benefit Concert for the Children of Syria at the Center for Spiritual Living - Asheville 2 Science of Mind Way Asheville, NC 28806. Proceeds will go to Save the Children. Admission, $10. Performers include Richard Shulman, Aurora Fox, Daniel Barber, Sidney Barnes, Olympia Garrett, John Benecke, Marty Balash, Ron Lapointe, Breazi Breazeale, and Jerry Pickett. One day I was feeling an uneasy sense of anxiety and I thought to take a walk down (and up) the hill in my neighborhood. What does sovereignty really mean I wondered. I settled upon the thought that it means control over my inner thoughts and feelings, and this led to the concept of responsibility. and how might I take this responsibility when of late I had been thinking many thoughts that I wouldn’t want to manifest?!! “I direct my thoughts in paths of positivity!” I repeated this as an affirmation, enjoying the way the phrase felt in my mind and mouth. As I completed the climb I stopped to appreciate a tree with a myriad of little white flowers in full blossom which I hadn’t noticed before. I arrived home feeling much better and happy to have found a new affirmation! 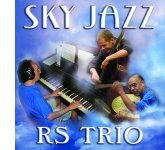 Here's "One for Us" from SkyJazz - There is no-one excluded from us.